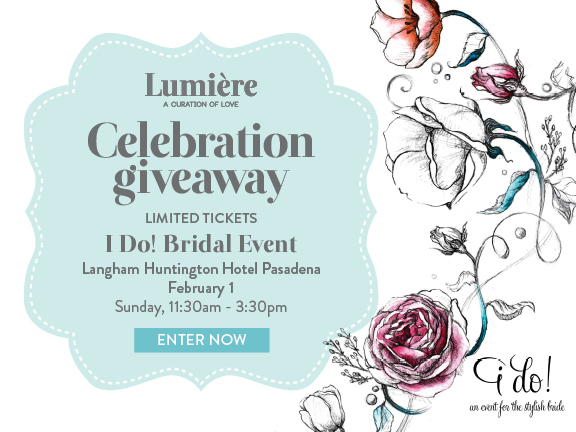 Lumière – A Curation of Love is excited to invite you to join in one of the biggest Bridal Show taking place on February 1st from 11:30-3:30 at the Langham in Pasadena! With so many amazing vendors under one roof, this show is sure to solve all of your problems. Our Celebration Giveaway is ended. Ticket winners have been contacted through email.